Dusty garnet color. Aromas and flavors of black cherry sorbet, baked craisins, and pickled melon rind with a shy, sweet light-to-medium body and a snappy finish with nuances of cherry taffy and pit, whipped cream with nuts, and flat strawberry soda with dusty tannins. A pleasant cherry berry dessert wine; try in cocktails, like sangria. 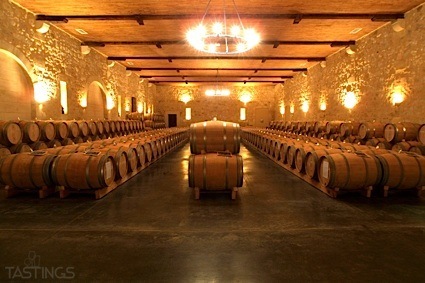 Bottom Line: A pleasant cherry berry dessert wine; try in cocktails, like sangria. 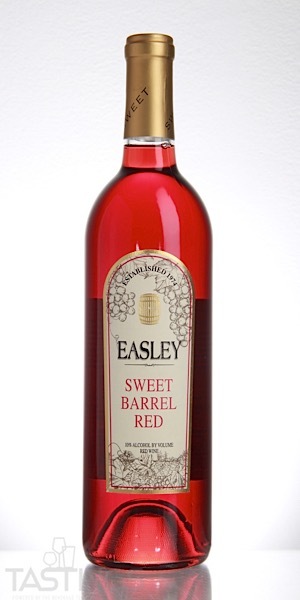 Easley NV Sweel Barrel Red rating was calculated by tastings.com to be 83 points out of 100 on 12/17/2018. Please note that MSRP may have changed since the date of our review.